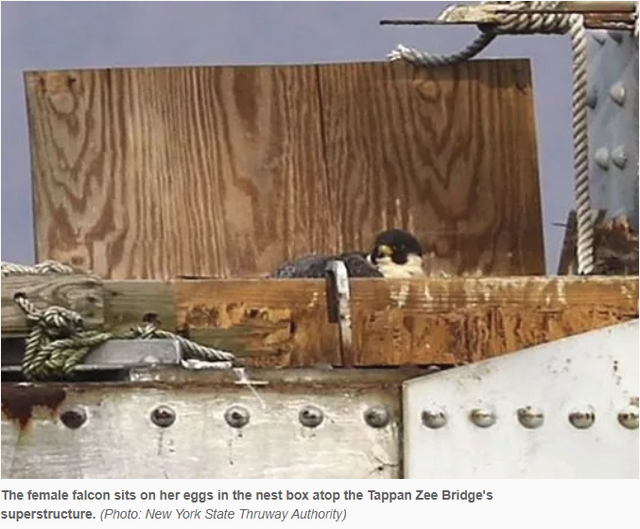 Tappan Zee Bridge: What happened to the peregrine falcons? 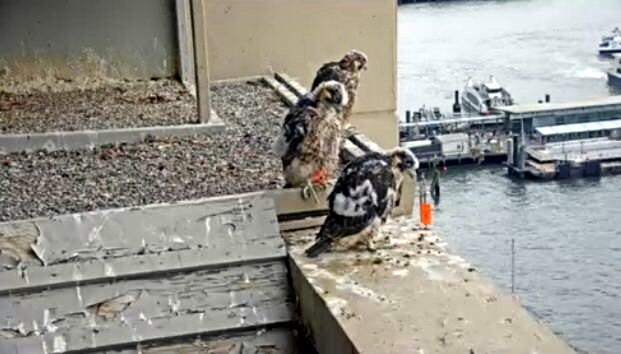 While the dismantling goes on around her, the female is sitting in the nesting box on the Tappan Zee's steel superstructure, with her three eggs expected to hatch in the coming weeks, according to a project spokesman. 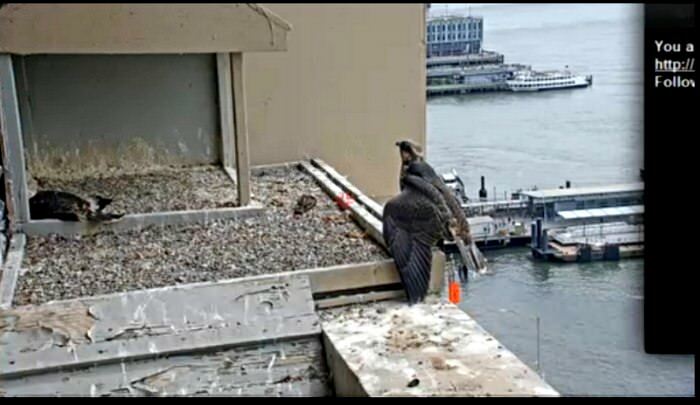 An approximately 100-foot buffer is in place around her to protect her nest. 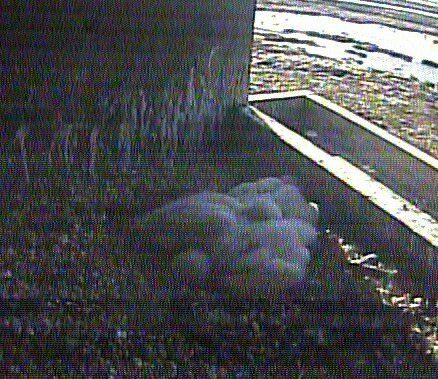 Because the old bridge is being torn down, the webcam that captured video of the raptors and their new chicks is no longer in operation. 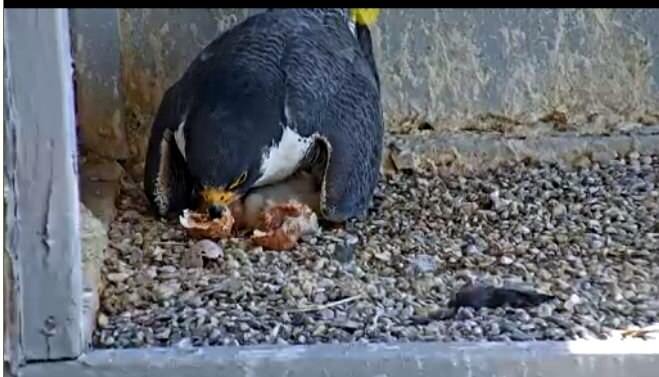 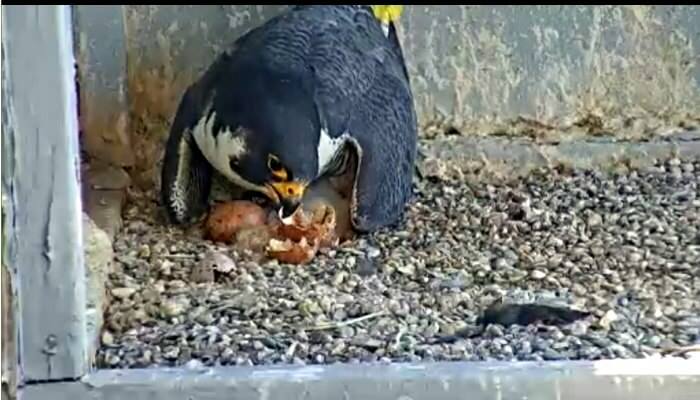 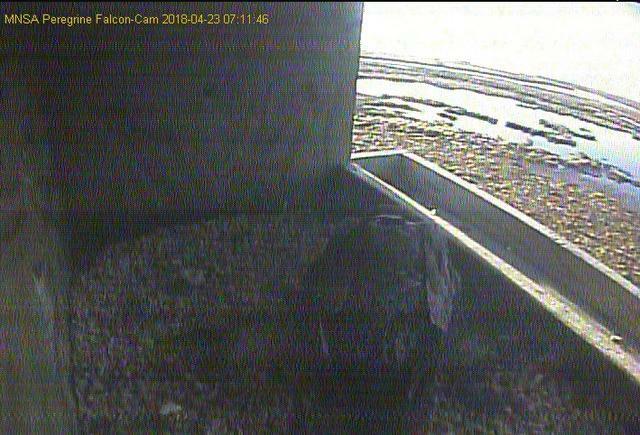 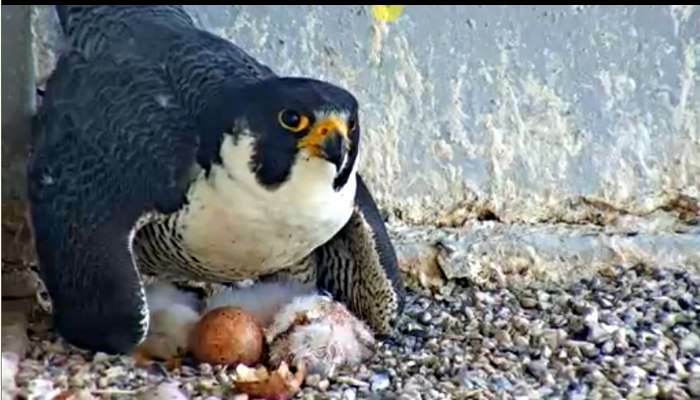 But experts are monitoring the nest, and photos of the budding family will be posted when the time comes, and a falcon-naming contest will follow. 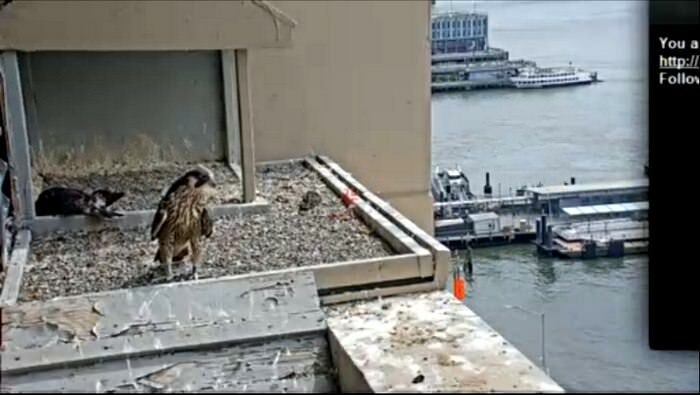 The new nest is more than 400 feet above the surface of the Hudson River — about 150 feet higher than the one on the Tappan Zee Bridge. 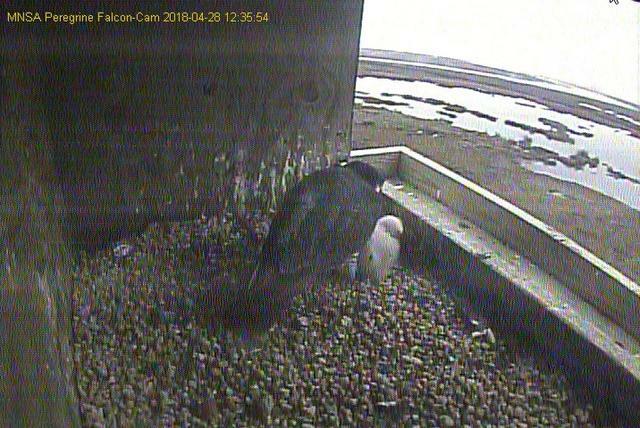 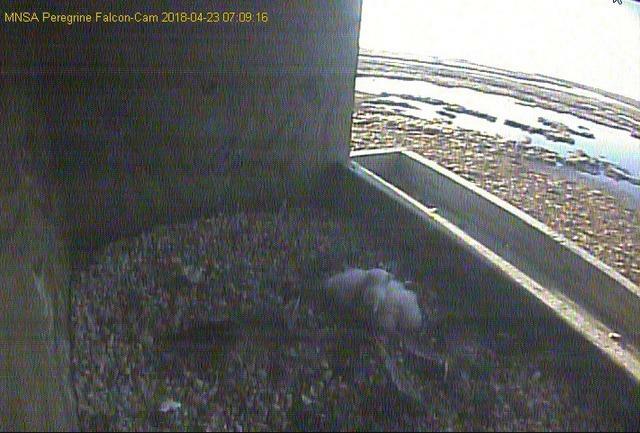 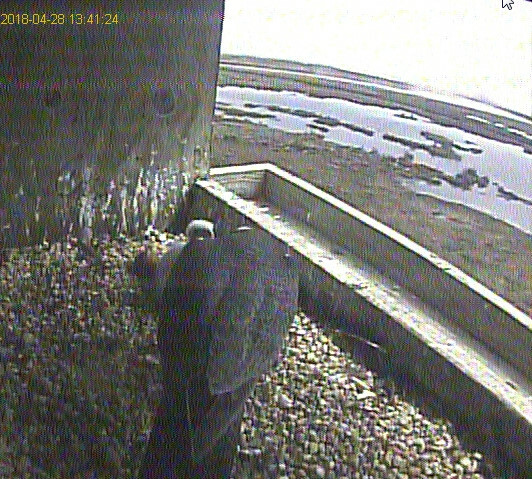 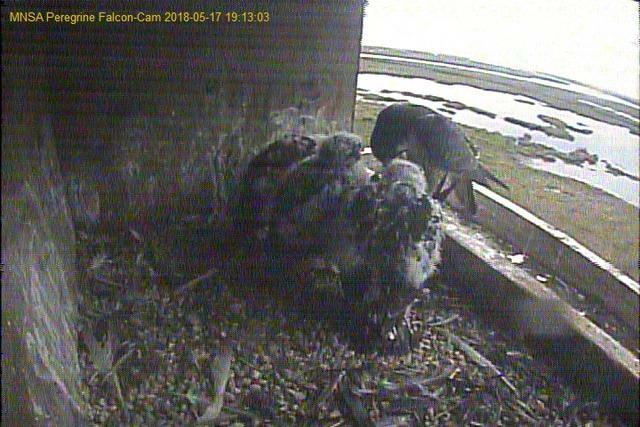 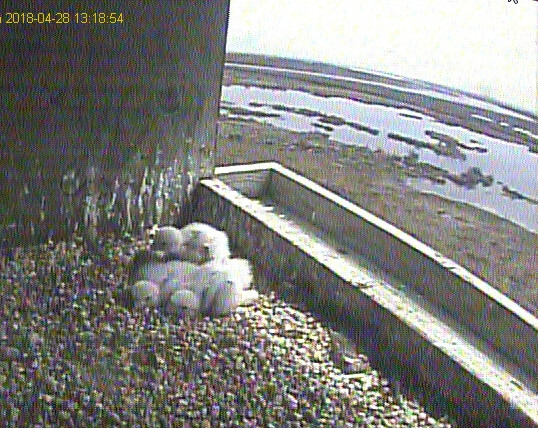 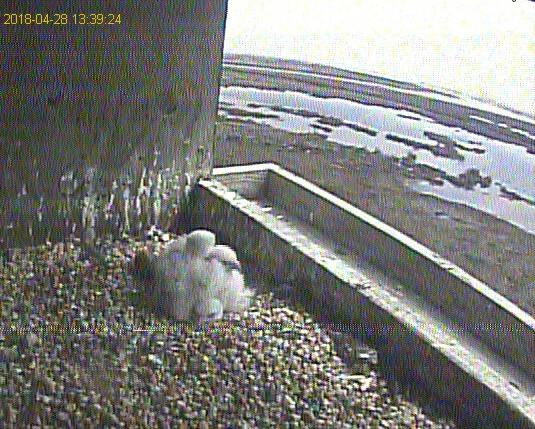 The falcon webcam in the new nesting box will go into service later this year. 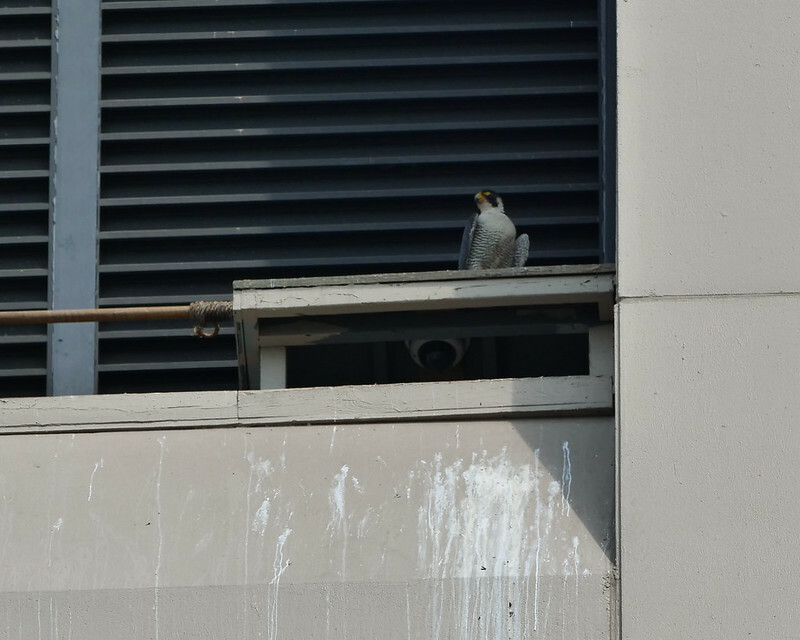 I love your solitude, and I love your pride…. 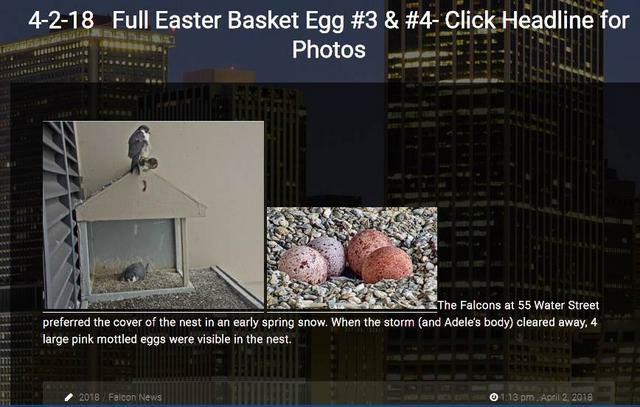 Many thanks Carolyn for the update! 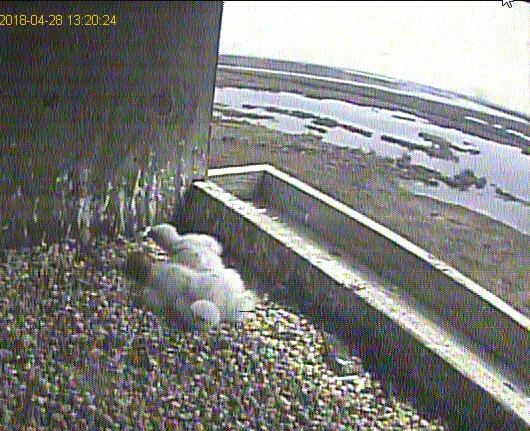 I won't bore you with all the earlier pics I took of this 3rd hatch...but, its finally out!! 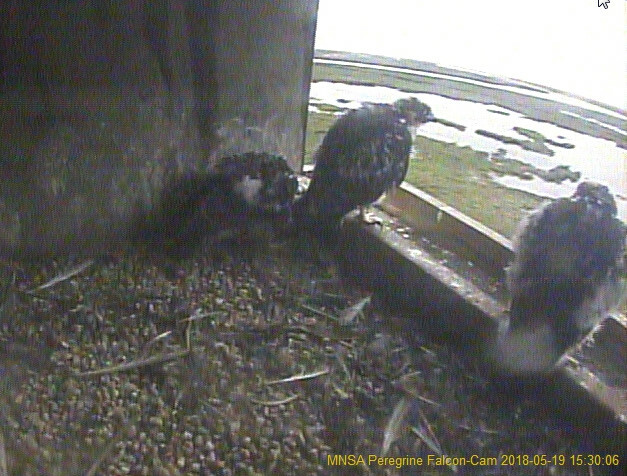 MNSA...I took this this morning at 8:20 AM. 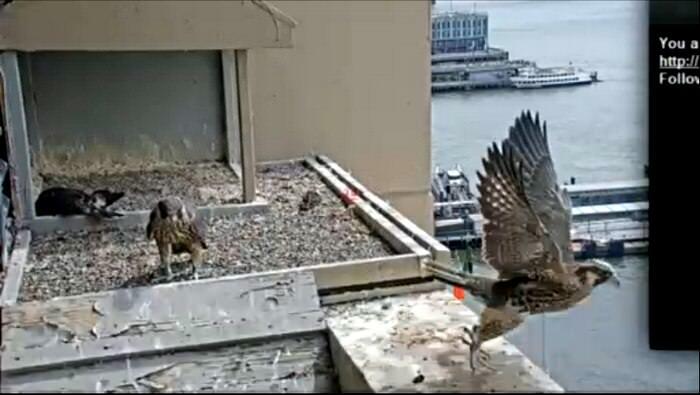 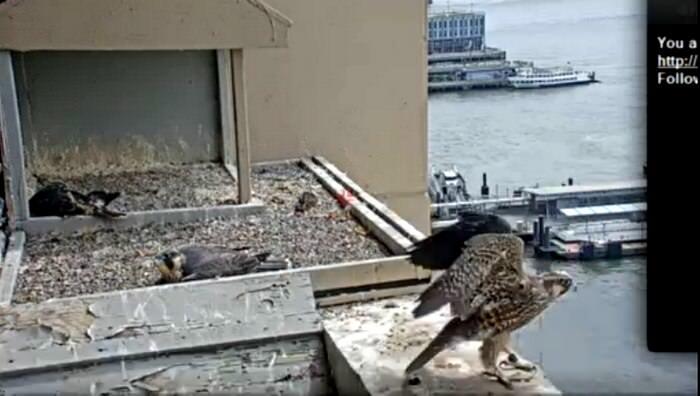 No chicks currently on cam...let's hope there is more to that box than what we are seeing..
55 Water Street has one of the oldest peregrine nesting sites, complete with live cam, in the city, and has provided space for over 100 falcon chicks to hatch over the past twenty years. 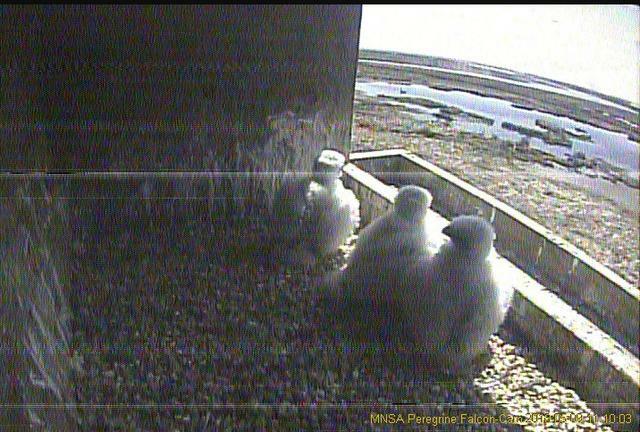 In that time, employees take turns naming the new chicks. 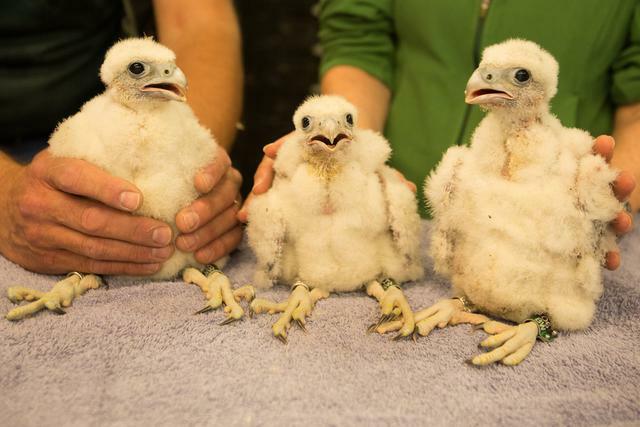 This spring's baby boom is made up of three girls, named Jonnie, Halle and, uh, Barbie Doll 55. 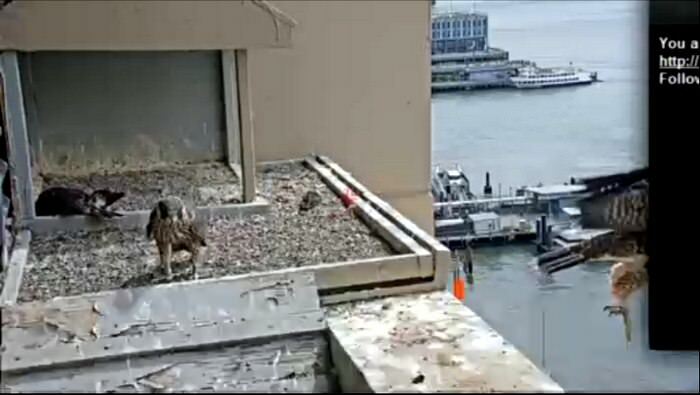 55 Water St: Adele asleep on the scrape. 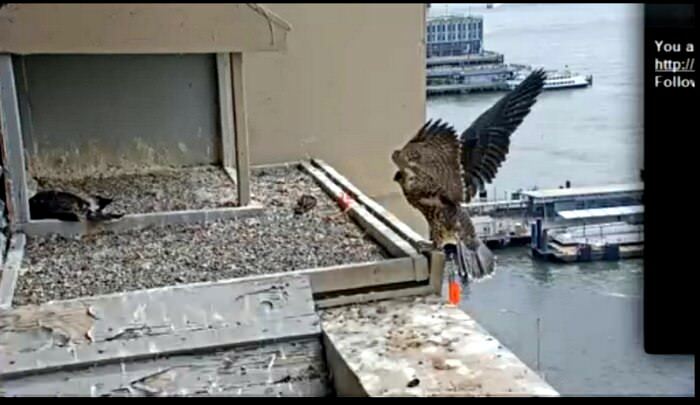 Couldn't get her with her eyes open. 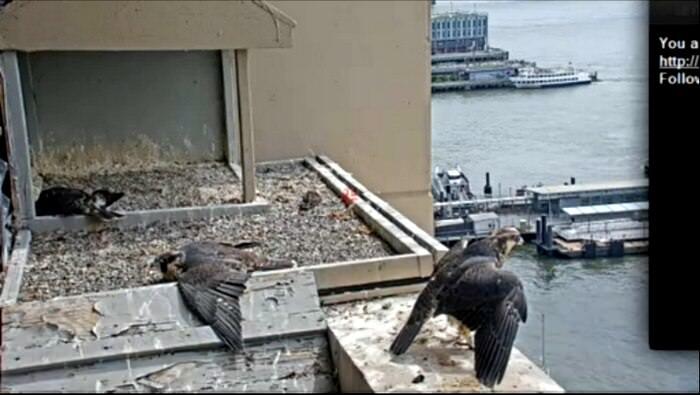 I guess she didn't want to participate in the Fleet Week/Helicopter activities. 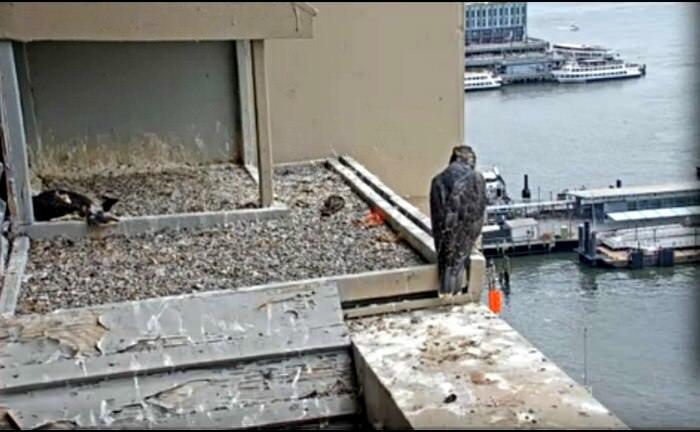 Eyases should be out on the ledge next week. 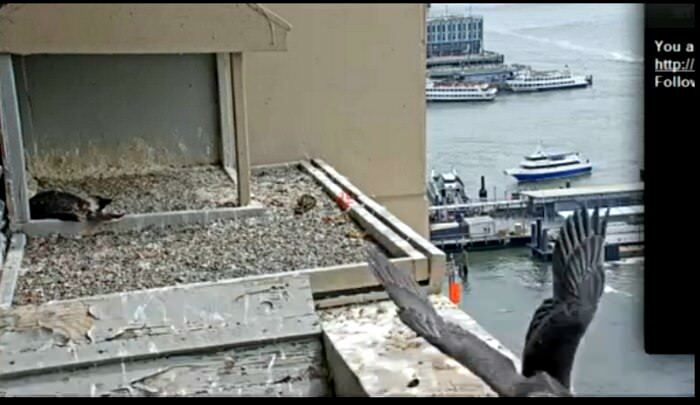 55 Water St: I thought I might get there today, but this week is crazy. 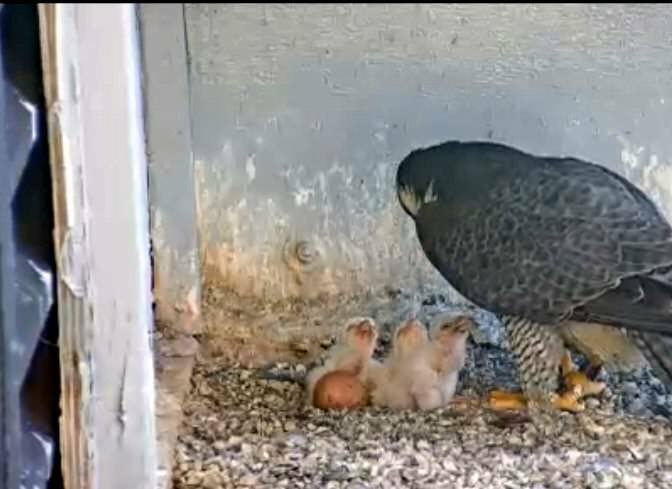 They are getting really ready. 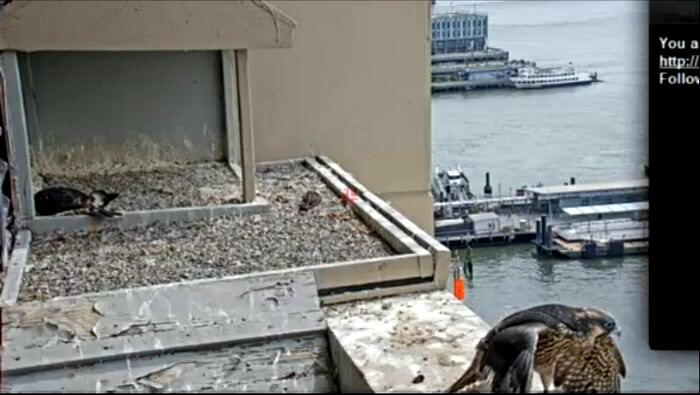 And Riverside Church does have eyases, but the whole family is shy about showing themselves. 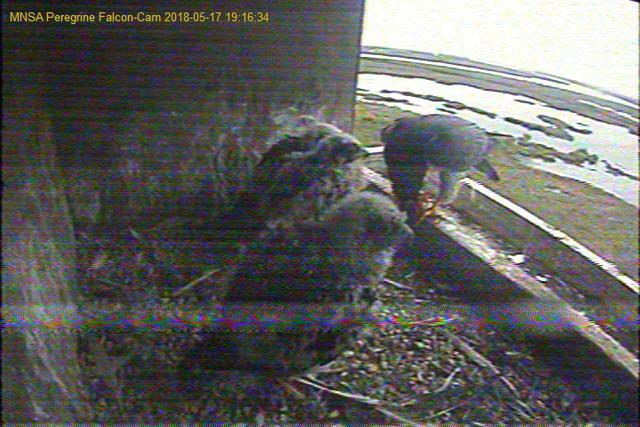 ...#2 became quite inspired after that...lots of flapping and looking...and now out of cam view..
#3 still unimpressed (in scrape). 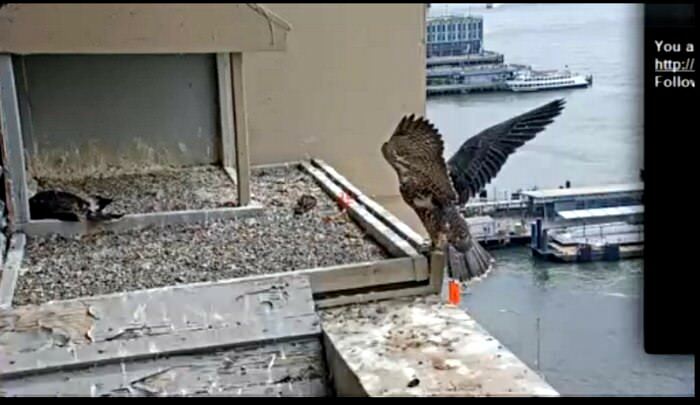 #2 comes back into view.